Batik is an ancient art which uses wax and dyes to create a visual magic on fabrics. The word Batik is of Indonesian/Malay origin. It is believed that the term is a derivation from the word `Ambatik’ which when translated literally stands for a piece of cloth with small dots or writing with wax or drawing in broken lines. It is an art appreciated all over the world in countries like Malaysia, Singapore, Indonesia, USA, Egypt, Central Africa and India. 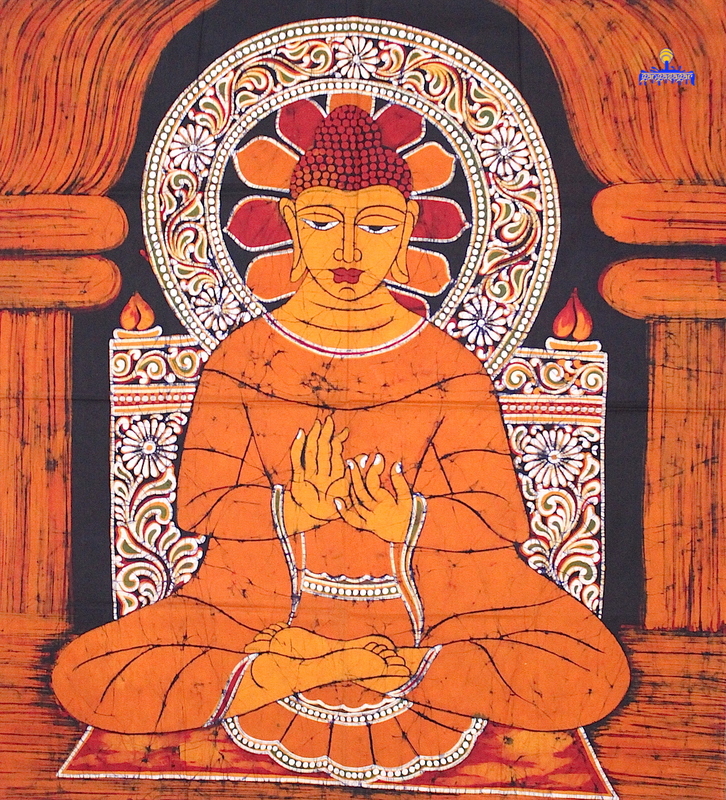 Evidences of Indian batik dating back over two thousand years have been found. Indians knew the wax resist method of printing designs on cotton fabrics long before any other country had even tried it. Indian cotton and dyes were very popular in those days. The indigo blue was one of the earliest dyes to be used. 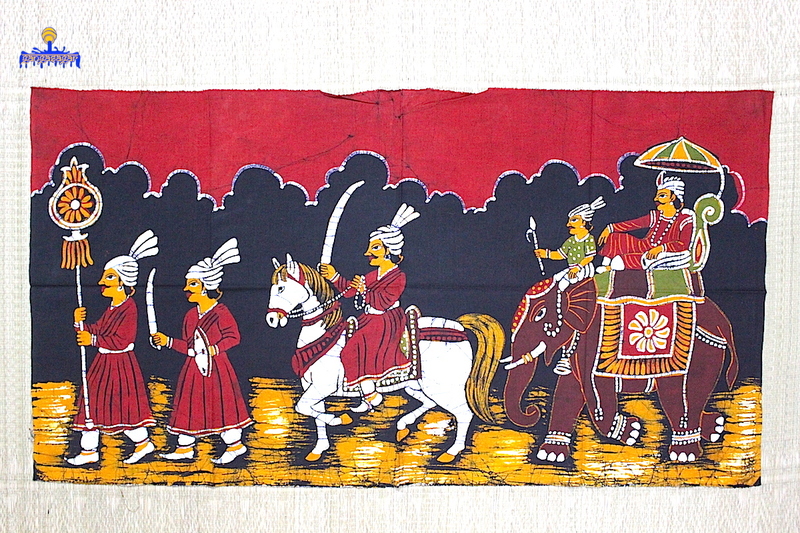 Batik tapestries were elaborate illustrations of the art, culture and traditions of the days of yore. 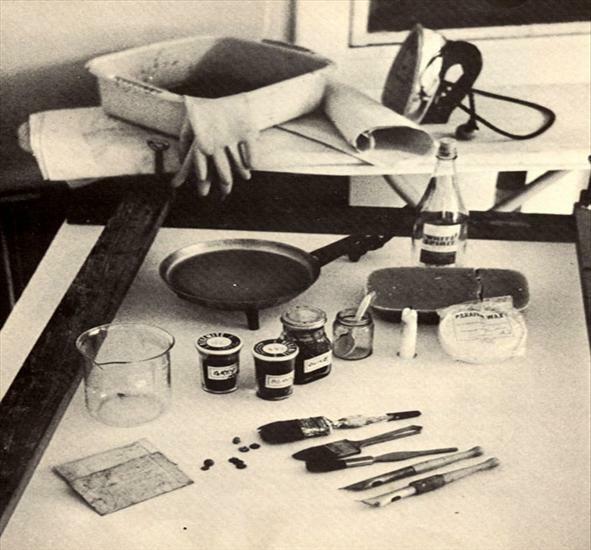 The elaborate process of dyeing and waxing was ironically one of the very hitches that caused the art to decline. Batik art received an impetus when it was introduced as a subject at the famous Visva Bharati University,located in the twin towns of Santiniketan and Sriniketan in the Indian state of West Bengal. A Batik creation involves 3 basic steps – waxing, dyeing, and scraping (removing). The the wax is used for creating designs on certain pre-defined areas on the fabric. The fabric is then dyed and then the wax is removed by scraping or by boiling the cloth so that the wax peels off. When the wax is removed the contrast between the dyed and undyed areas makes the pattern. This three-stage process of waxing, dyeing and de-waxing is repeated many times over in order to achieve a desired design. The characteristic effects of batik are the fine cracks that appear in the wax, which allow small amounts of the dye to seep in. The result is a beautiful piece of cloth with some very unconventional designs. Traditionally, Batik is used on cotton or silk fabrics. 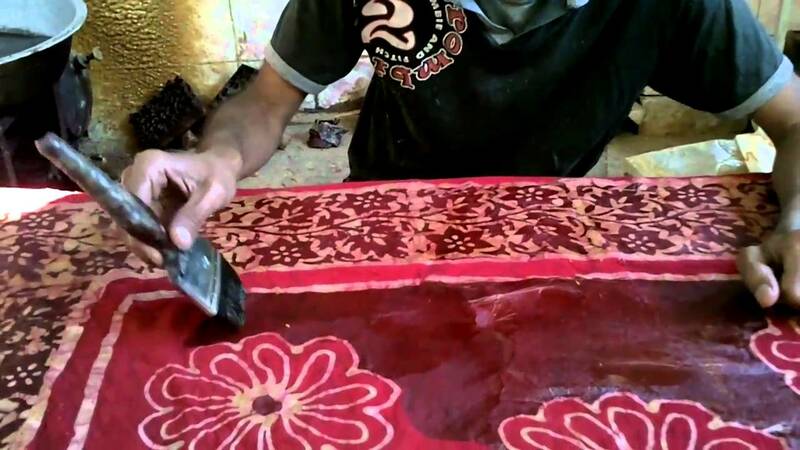 The splash method – In this process, the wax is splashed over the fabric in a random fashion and then the dye is poured. This results in a virtual explosion of random designs and colours. The screen printing process – This method involves the use of a stencil to etch the designs in an orderly and defined manner. 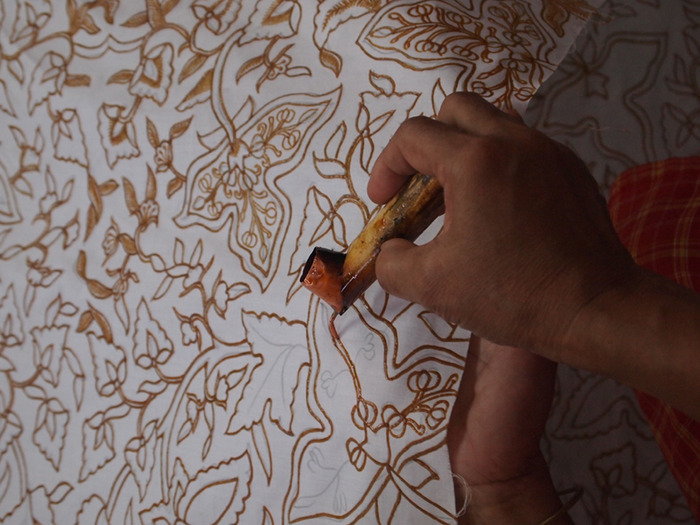 The hand painting method – This process essentially uses the art of Kalamkari to draw the designs and separate the wax. A fourth method used is the scratch and starch resist method. Today, traditional and contemporary batik are equally adored by both the East and the West. Batik prints can be found on traditional items such as sarees, dupattas and wall hangings, and on contemporary products, including dresses, bags, accessories and home furnishing….exquisite!